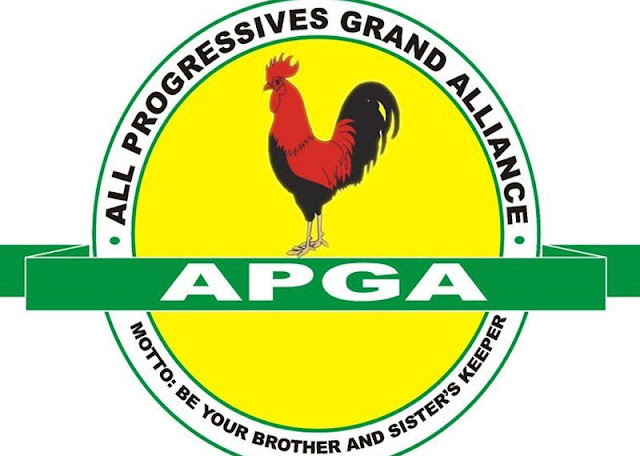 The All Progressives Grand Alliance (APGA) has suspended three lawmakers for allegedly spearheading the campaign to change the leadership of the Anambra State House of Assembly. The Chairman of the party in Anambra, Chief Norbert Obi, made the announcement at a news conference in Awka on Thursday. The suspended members are Mr Ikem Uzoezie, Mr Harford Osekke and Mr Victor Okoye, representing, Aguata 1, Awka South 2 and Anambra West State Constituencies, respectively. Obi, who urged the aggrieved and warring members of the party to sheath their swords to avoid escalation, described the trio as ring leaders of the attempted impeachment saga. “Granted the fact that we had problems during the just- concluded party primaries in the state, it is not enough to pull the party down the more when the party has set up a reconciliation committee. “It is therefore, the position of the party that all aggrieved members should sheath their swords as failure to do so will amount to setting our own house on fire. “Be that as it may, the three ring leaders of the attempted impeachment saga, namely Ikem Uzoezie, Harford Osseke and Victor Okoye are hereby suspended from the party, pending when they will appear before the disciplinary committee of the party,” he said. It will be recalled that the house on Nov. 13 impeached its Speaker, Hon. Rita Mmaduagwu, and elected Uzoezie as the new speaker. Mmaduagwu has since dismissed her purported impeachment as illegal and invalid, insisting that she remained the speaker of the house.